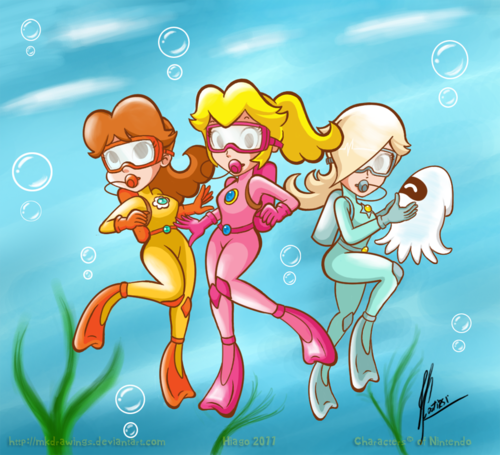 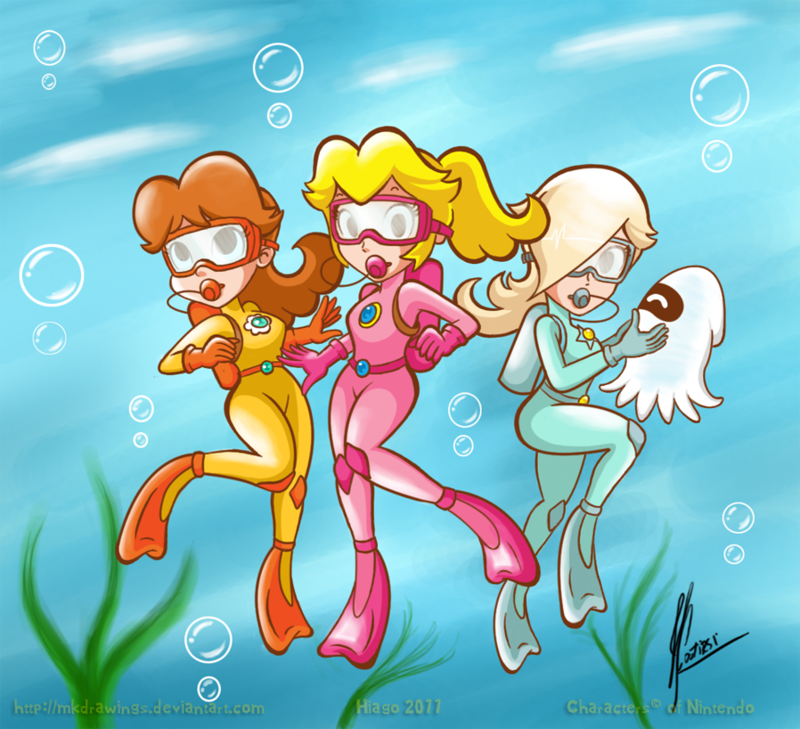 Three Aqua Princesses. . HD Wallpaper and background images in the Nintendo club tagged: nintendo nintendo characters princess peach daisy rosalina water.